I am much pleased with Your darshan. Ever be kind and merciful to us and protect us always. There is no other God to us in this world except Your Feet. Let our mind be ever rapt in You and Your Feet. and let us ever chant Your name. 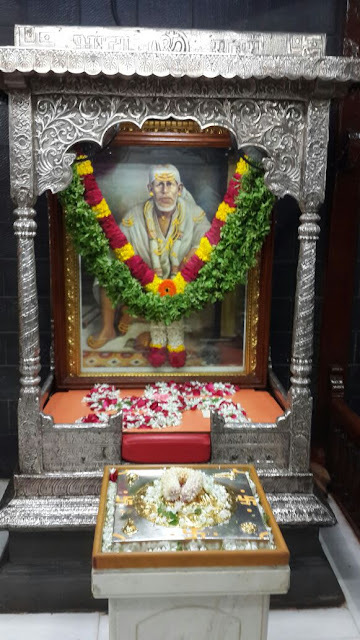 Saibaba speaks from Dwarakamai ! Why think that you are alone? Beta I have taken you in my arms. How will I let you do a wrong thing? Just remember me every moment beta. Never think you are a failure. I WILL NEVER LEAVE THAT CHILD. I will not make that child do something wrong. I will not let my child to fall into the thorns of life. You. Yes beta. YOU ARE MY CHILD. Stay calm my child. Stay calm. Your Saimaa...Is always here next to you. Just stay away from things that worry you. Main hoon na. Chinta mat karo. Don't care a jot of what people say. I, this fakir loves you. Page created in 0.466 seconds with 58 queries.